Sometimes it feels like we plan and strategize and do everything we are supposed to do to optimize our investment withdrawals for retirement, and then the rules change at the last minute throwing all our hard work out the window. The ever-changing debate surrounding the tax code, concerns about the relationship between politics and the stock market, and worries about the cost and availability of healthcare have many investors feeling like they are treading water. However, there are certain rules and principles that you can be assured will always hold true when you are planning your withdrawal strategy to fund your retirement. Just because it’s time to start drawing down your assets does not mean it is time to put all the eggs in one basket. The diversity of asset class is important, especially when you are more reliant on those assets. As you rebalance your portfolio going into the non-earning phase of your life, consider an allocation strategy that is consistent with your values and needs but also one that takes into account fluctuations in the market. Having a portfolio too heavily weighted in bonds, for example, may work against you if interest rates start climbing. Additionally, parking all your money in cash assets could leave you out of earning opportunities that could be appropriate for your situation. Depending on the type of qualified retirement account you have maintained, you may be subject to minimum required distributions (MRDs). If you have been a diligent saver and investor for more than 30 years, those MRDs could be significant and could impact not only the investment structure of the particular portfolio but also your taxable income status. It’s a good idea to review annually the investment allocation of any accounts subject to MRDs as well as to discuss anticipated distribution calculations so you don’t get a surprise at the end of the year. It may not be earned income, but it’s still income. Because of the complex – and constantly changing – nature of the tax code, distributions from qualified tax-deferred accounts as well as non-qualified investment accounts are subject to different tax classifications. Taking the time now to discuss what you own and understanding how it can impact your income once it is liquidated will go a long way in helping you plan and execute a strategy that optimizes income while reducing tax liability. This type of planning also helps you reallocate a portfolio that may be too heavily weighted in certain sectors and allows you to make changes while there is still time to optimize your investment strategy. There are no guarantees in retirement and even the best plans can present challenges to your retirement goals. If you are confused by the options that you have, we’d like to help. 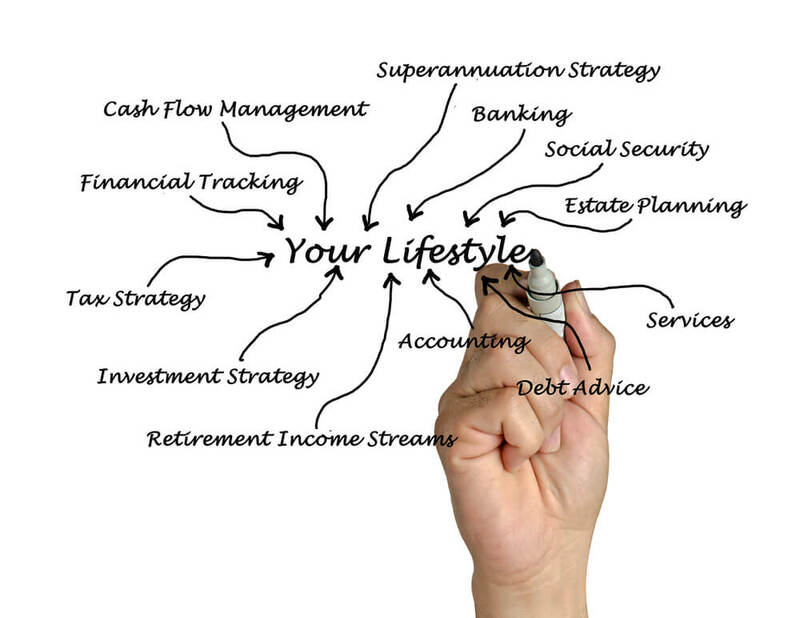 At Mooney Lyons, we specialize in working with clients to create a retirement income plan that is personal and viable. Call our offices today to meet with a qualified professional who can help you navigate what can feel like a very dark ocean. The opinions voiced in this material are for general information only and are not intended to provide specific advice or recommendations for any individual. There is no guarantee that a diversified portfolio will enhance overall returns or out perform a non-diversified portfolio. No strategy assures success or protects against loss.